Join the Product Stewardship Institute (PSI) on July 25-26, 2017 at the Omni Parker House Hotel in Boston, MA for a discussion-packed conference. This year's Forum will highlight current product stewardship trends in the U.S., focusing on packaging, pharmaceuticals, paint, electronics, HHW, and other priority products. In classic PSI style, each session will be highly participatory, designed for multi-stakeholder discussion of cutting-edge topics. Global leaders will assess the successes and challenges of extended producer responsibility programs and provide the context needed to help us advance the product stewardship movement in the U.S. Registration is now available on the PSI website, along with the session agenda and sponsorship opportunities. Visit the website today for more detail, and please contact PSI's Suzy Whalen with questions at (617) 236-8293. We look forward to seeing you there! The New Year has thus far brought big changes to the United States and to the product stewardship landscape. The Product Stewardship Institute's chief executive officer and founder, Scott Cassel, issues a call to action for sustainability leaders around the country to break the status quo, take risks, and innovate. The Connecticut Department of Energy & Environmental Protection (CT DEEP) recently released a Product Stewardship Institute (PSI) evaluation of Connecticut's four EPR programs - electronics, paint, mattresses, and thermostats. CT's EPR programs have thus far diverted more than 26 million pounds of material from the waste stream, yielded a cumulative cost savings of more than $2.6 million per year to Connecticut municipalities, and provided services worth another $6.7 million. They led to the creation of more than 100 jobs and reduced greenhouse gas (GHG) emissions by more than 13 million kg of carbon equivalent. Nearly all Connecticut residents now have convenient access to recycling collection sites for the target products. Questions? Contact PSI's Scott Cassel at (617) 236-4822. Join the Product Stewardship Institute, Call2Recycle, Sears Holdings Company, and the Northeast Kingdom Waste Management District, VT in an upcoming webinar to discuss best practices for collecting rechargeable and single-use batteries, particularly in rural areas. Call2Recycle's service is free for consumer rechargeable batteries collected at retailers and municipal locations. Find out how you can participate in this program - register for the webinar! Yes! Believe it or not, in this technology-driven era, publishers continue to manufacture printed phone books - and drop millions of unwanted directories on our doorsteps. Each year, the industry uses an estimated 4.68 million trees worth of wood fiber, or 14 football fields' worth of forest per day, to manufacture these directories. 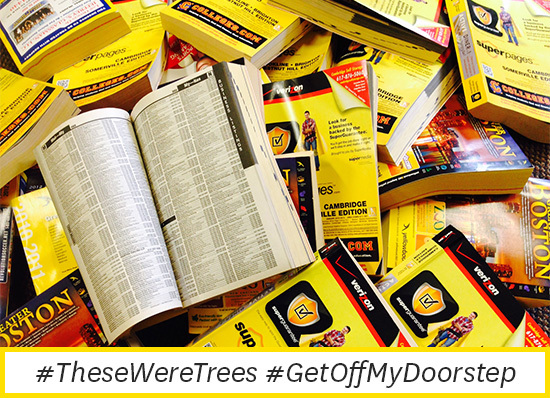 Phone books are also a burden on local governments, who pay nearly $60 million annually to recycle or dispose of them. This year, PSI will be enhancing our Phone Book Opt-Out Toolkit, a resource that makes promoting opt-out as easy as copy-and-paste for government officials and other organizations, by adding new outreach materials like utility bill stuffers, sample op-eds and newspaper notices, and social media campaign graphics. Please feel free to contact PSI's Suzy Whalen to provide suggestions for improving the existing Toolkit. On January 19th, PSI hosted a webinar to discuss the successes and strategies that PSCs have used to establish both regulatory and voluntary product stewardship initiatives that reduce the environmental and public health impacts of consumer products. During this webinar, four of the nation's PSC leaders shared key tactics for building strong coalitions, important strategies for gaining momentum, and the most successful initiatives they have pursued through their PSCs. 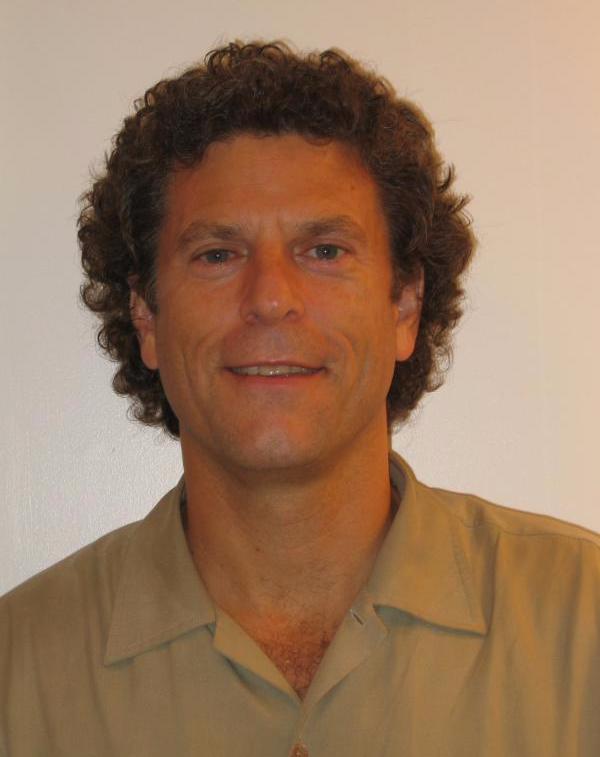 Scott Cassel, chief executive officer and founder of PSI, will speak at Maine Resource Recovery Association's annual Recycling and Solid Waste Conference & Trade Show on April 24. In addition to great networking opportunities and exhibits, the conference features other nationally recognized speakers including Congresswoman Chellie Pingree; Anna Elenore Roosevelt, president and chief executive officer of Goodwill of Northern New England; and Dr. Cynthia Isenhour, assistant professor of anthropology at the University of Maine. On January 9, New Jersey Governor Chris Christie signed an amendment to the state's Electronic Waste Management Act, even though he had pocket vetoed a similar amendment early last year. 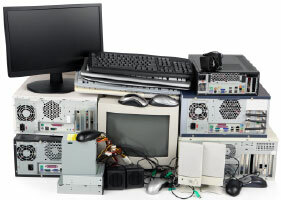 The new amendment requires each electronics manufacturer to recycle its market share (by weight) of covered materials, and gives NJ's Department of Environmental Protection authority to ensure convenient access to electronics recycling and to act if manufacturers do not comply. The new amendment also adds printers and faxes to the list of covered devices and includes governments and schools in the program. The Maine DEP recently issued its annual report, Implementing Product Stewardship in Maine (January 2017), which evaluates the performance of existing state product stewardship programs and offers recommendations for improvement. The agency seeks public comment on the report, which will be submitted to the Legislature, prior to February 10. Please submit any comments to George Macdonald. In January, the U.S. EPA proposed a regulation under the Superfund Act that would require hardrock mining companies to provide a financial guarantee covering future cleanup costs at their facilities. While this is not an extended producer responsibility policy, policies like this protect governments and taxpayers from paying to clean up pollution caused by industry. Under the new administration, this proposed regulation is in question; EPA had been evaluating similar financial responsibility regulations for three other industries. 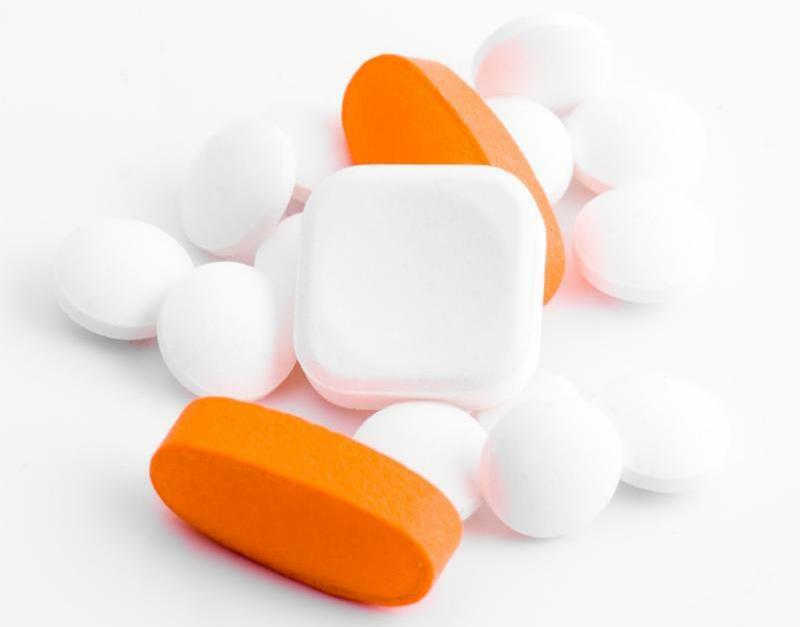 Thanks to a drug take-back provision in Massachusetts' opioid abuse prevention law that passed in March 2016, pharmaceutical manufacturers in the state must finance the nation's first state-wide drug stewardship program. The law went into effect on January 1. The Product Stewardship Institute (PSI) is advising the MA Department of Public Health about how to develop a safe, convenient drug collection program. The law also contains a "sunset" provision that would automatically repeal the program after December 2021; MA Senator John Keenan recently filed a bill to remove it. Are you interested in bringing drug take-back to your community? Please contact PSI's Vivian Fuhrman at (617) 236-4771. On December 20th, Contra Costa County's Board of Supervisors unanimously passed the 17th extended producer responsibility law for pharmaceuticals in the United States. County staff are now discussing an implementation plan, which will specify acceptable methods of medication disposal and create a registered non-profit stewardship organization to run the program. On December 30, Michigan lieutenant governor Brian Calley signed a new law outlawing local bans and fees on certain packaging items, including plastic bags. This legislation overrides Washtenaw County, MI's reusable bag ordinance, which mandated a 10-cent fee on single-use plastic bags. 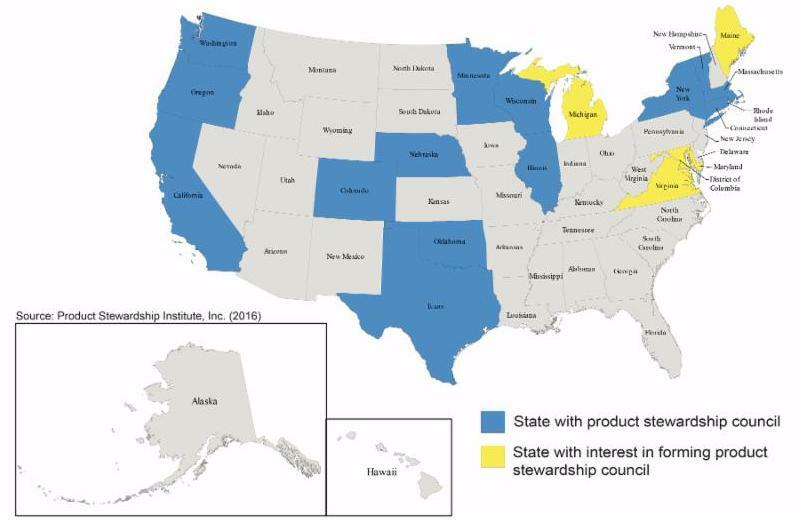 The Product Stewardship Institute's Board of Directors passed a policy statement last year opposing state legislation that preempts local government action to regulate products and packaging. Michigan follows Arizona, Florida, Idaho, Indiana, Wisconsin, and Missouri in enacting this type of preemption legislation; similar bills failed to pass in Pennsylvania and Texas. China's State Council introduced an extended producer responsibility (EPR) plan requiring domestic lead-acid battery producers to properly manage their products at the end of their useful life. The plan also requires battery producers to conduct and implement research for improving battery recycling technologies.